Not your basic Essence here. 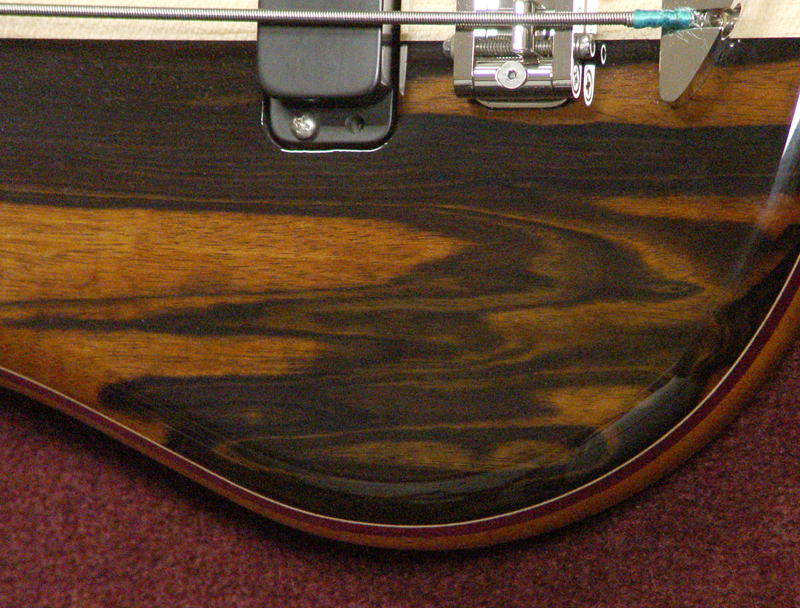 We've added Macassar Ebony as the top laminate. 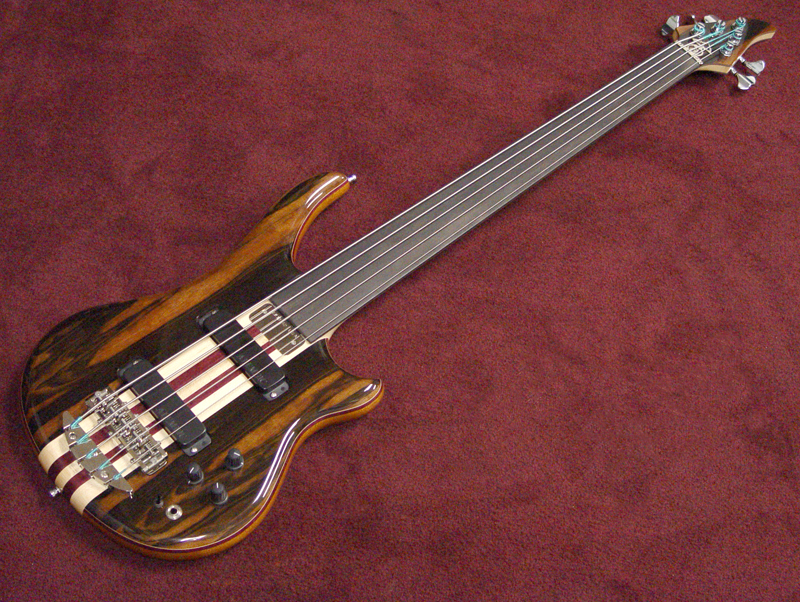 This upgrade wood is very dense, and keeps a very tight sound. The color ranges to nearly black, with some dark brown and lighter brown streaks running through it. 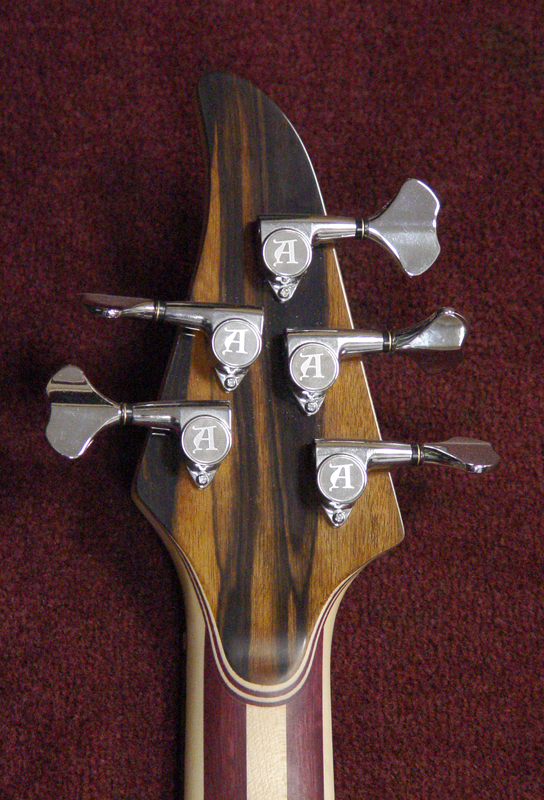 As beautiful as Macassar Ebony is, what's really important is that it sounds awesome. 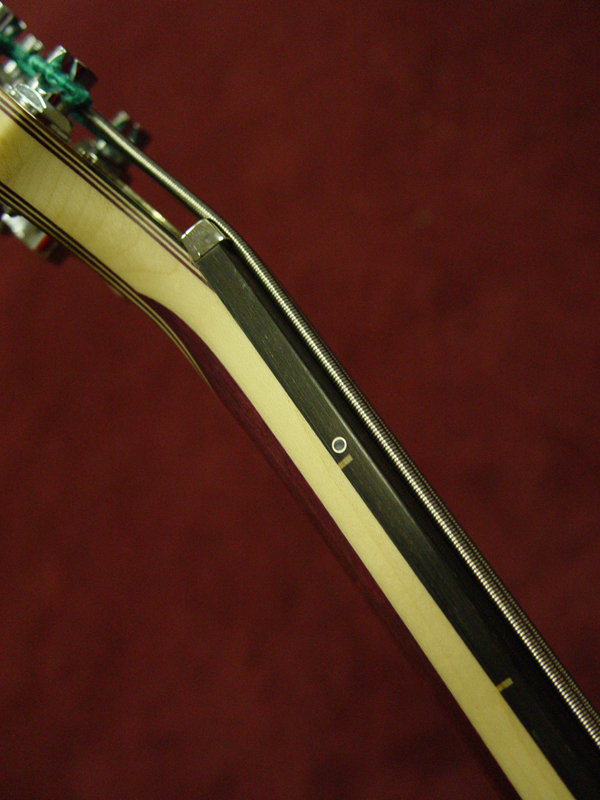 Sustain is so excellent, you may have to brush up our muting technique. 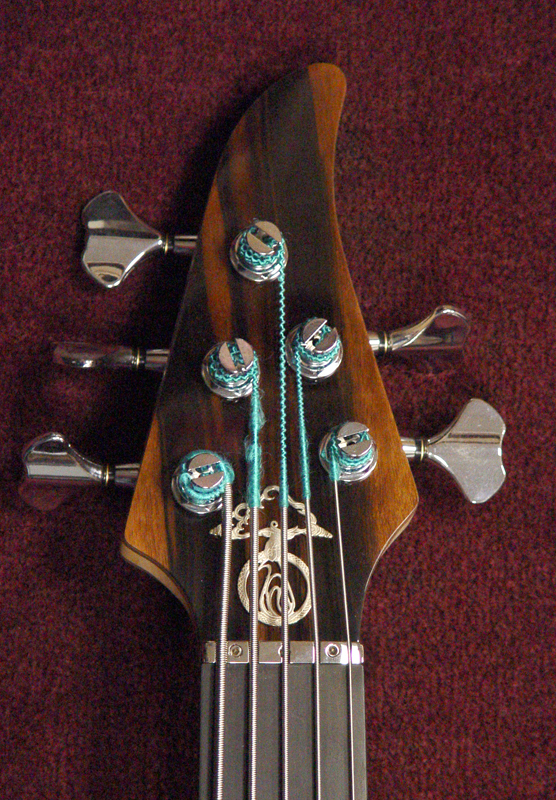 It doesn't hurt that this bass also sports a 35" extra long scale. The chrome plated solid-brass hardware not only looks good today, but it looks far into the future, and you never need to polish it. The plating is durable and harder than the brass it covers, and only only needs a wipe with a soft cloth to make it shine as it doesn't tarnish. 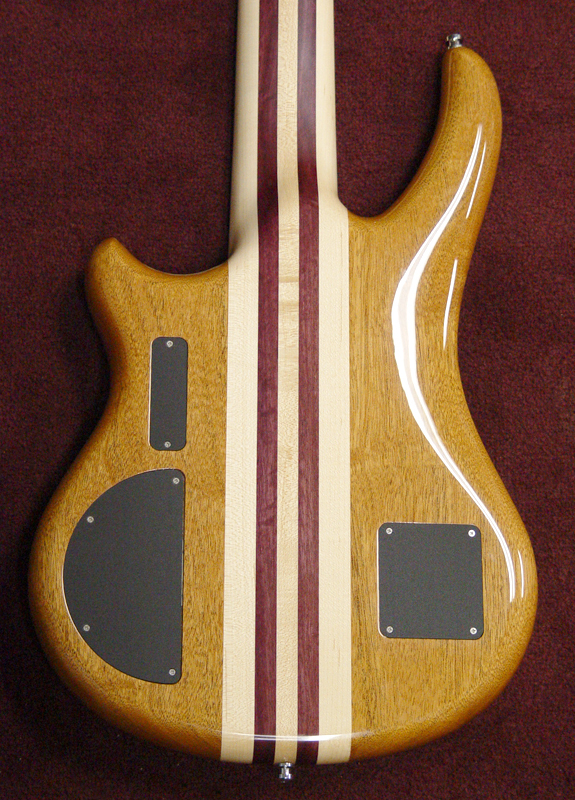 The fretless fingerboard is Ebony that we've inlaid small Maple sidelines at each "fret position" giving you the playing surface free of inlays, but with helpful little indicators on the side. 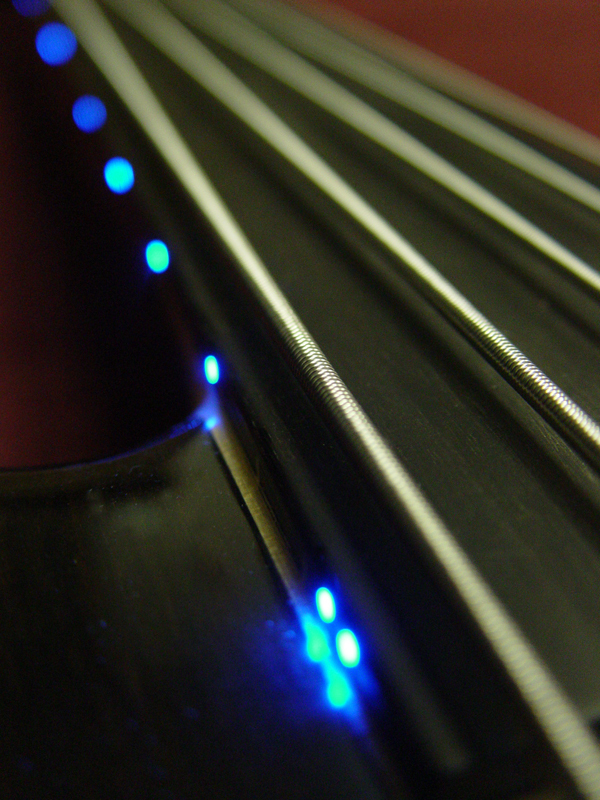 On fretless basses with side LEDs (like this one), we add an LED at the first fret as well, offset to the sideline a touch.